Fiji’s collection of 330 impeccable islands teem with unique resorts. Looking for an adventure trekking through lush rainforests and discovering secluded waterfalls? Wanting to celebrate the start of a new life together with a romantic honeymoon in the tropics? And most importantly – seeking an indulgent all inclusive experience? Fiji is home to some of the best all inclusive resorts in the world. From private island, adults-only retreats to boutique, family-oriented luxury resorts, you’re guaranteed to find your own definition of paradise. 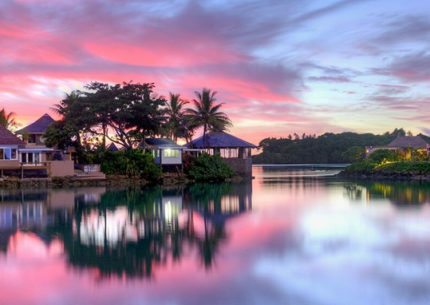 Here is our countdown of the best 8 all inclusive resorts in Fiji. Don’t let the modesty of Lalati Resort & Spa fool you. The laid-back vibe and genuine warmth you’ll find at Lalati exemplifies a totally authentic Fijian experience hard to find anywhere else. Its 16 villas capture a rustic elegance accentuated by simplicity and pure comfort. This is the perfect place to kick your shoes off and go barefoot. The villas boast ample floor plans, crafted in a traditional chiefly style with high ceilings. Located right off of Beqa Lagoon, the snorkeling and diving here is one of the best in all the world. From snorkeling the stunning Malumu Bay house reef, coastal kayaking and crab races, the array of complimentary activities on offer will fill your day with incredible adventures. Divers from all over the world flock to Lalati to dive the pristine reefs and exotic marine life. But where Lalati really shines is in its gracious staff. A warm welcome accompanied by a foot massage is only the beginning of the lengths the staff will go for you. Just tied the knot? 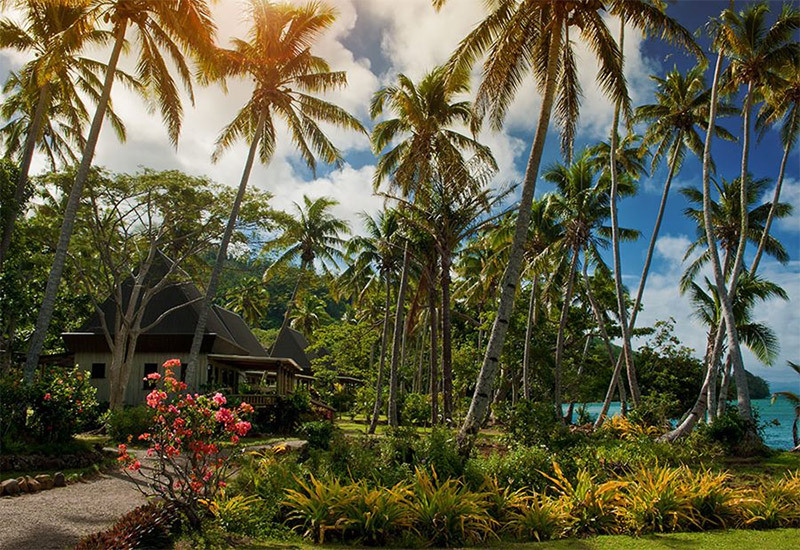 Look to Matangi Private Island Resort for the perfect honeymoon destination. Nestled beside Matangi Island’s splendid Horseshoe Bay, one glimpse of this tropical rainforest haven will take your breath away. 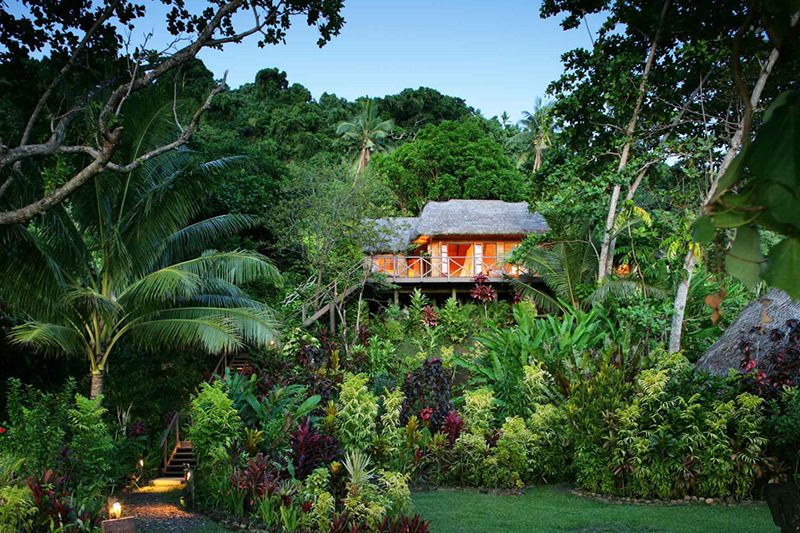 For a true “wow” factor, stay in Matangi’s unique Treehouse bures, featured on Travel Channel’s “Tremendous Treehouses.” Surrounded by resplendent tropical foliage yet only steps from the beach, this tree top escape is perched in ultimate privacy. 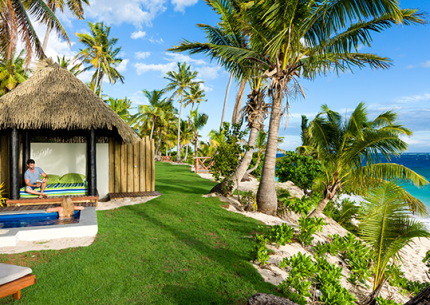 Every bure features handcrafted details highlighting their traditional Fijian architecture, complementing their sophisticated interiors. Daily laundry, maid and evening turn-down services complete the experience of elevated comfort. 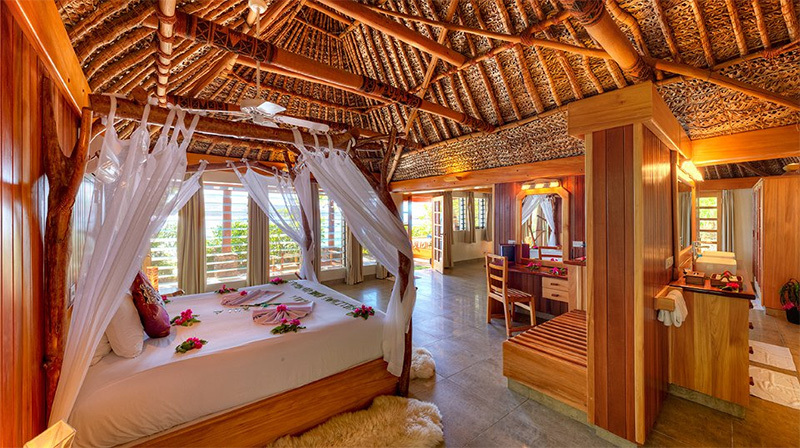 For that iconic overwater experience, you can do no better than Likuliku Lagoon Resort. Its combination of crystal clear warm waters, shady palm trees and balmy nights create the idyllic tropical island retreat. 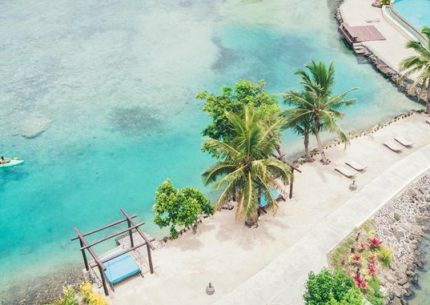 Apart from its 10 traditional yet elegant overwater bures, its beachfront and garden bures offer secluded havens with spectacular views of the sparkling turquoise lagoon. Delight your tastebuds with sensational meals, all included and cooked to Michelin-star standards. Seriously, the food here should come with a warning. It will ruin anything you try after your stay at Likuliku. The snorkeling here might spoil you, too. Step right out of an overwater bure and enter a tropical aquarium of manta rays, cuttlefish, colorful reef fish and a spectacular display of coral formations. Or snag a slice of your own private beach with a beachfront bure. With only 7 villas and a unique 140 ft three-masted schooner accommodation, the level of personal and attentive service provided by Savasi Island Resort is unparalleled. Begin your day with breakfast brought out to your villa, or enjoy dinner in a secluded cavern by the sea. Any whim will be indulged with a smile and effort above and beyond your expectations. All included meals are gourmet multi-course affairs featuring local ingredients and freshly caught seafood. Taste banana pancakes with homemade caramel sauce for breakfast to banana flower salad, satay prawns and beef curry skewers for dinner. Those with a sweet tooth won’t resist the creations of the pastry chef. Whether you want to spend your days exploring the captivating surrounds on guided village visits and rainforest treks or relaxing poolside, Savasi encourages you to recharge in your own way. Right on hand when you require service and providing serene privacy when you don’t, Savasi anticipates your exacts needs unlike anywhere else. Join in on herbal walking tours, Fijian cooking classes, meke celebrations and lovo feasts for an immersive insight into Fiji’s rich culture and traditions. 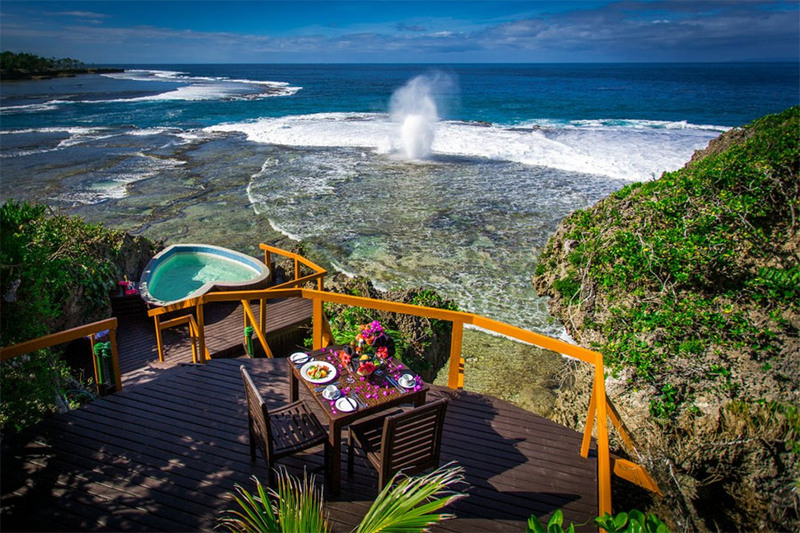 Overlooking the spectacular Savusavu Bay, Jean-Michel Cousteau Resort offers something for everyone. A pioneer in eco-tourism, this resort combines careful consideration for the environment with impeccable luxury. Built on a former coconut plantation on a curve of beach, the swaying palm trees and ocean views will instantly transport you into paradise. This resort places authentic Fijian culture at the heart of every experience, from its impossibly accommodating staff to evenings filled with traditional song and dance. All its 25 villas arebuilt entirely from local materials, complementing the stunning setting. Surrounded by a marine sanctuary, the snorkeling and diving on offer is out of this world. Learn about the exotic marine life around you with the help of the onsite marine biologists and professional scuba instructors. Another plus that not many all inclusive resorts in Fiji can boast – this resort is completely family friendly. With an exceptional kids club supervised by attentive nannies, even the kids won’t ever want to leave. Spend an afternoon on a private island excursion, discovering the colorful marine life underwater or the lush hikes above land. Try your hand at sailing or kayaking along the shoreline of Savusavu Bay. There’s no end to the adventures at Jean-Michel Cousteau Resort – no stay will ever feel like enough time. That’s just a perfectly reasonable excuse to go back. Located in the stunning Yasawa Islands, you’ll recognize the pristine setting of Turtle Island Fiji from the film The Blue Lagoon. 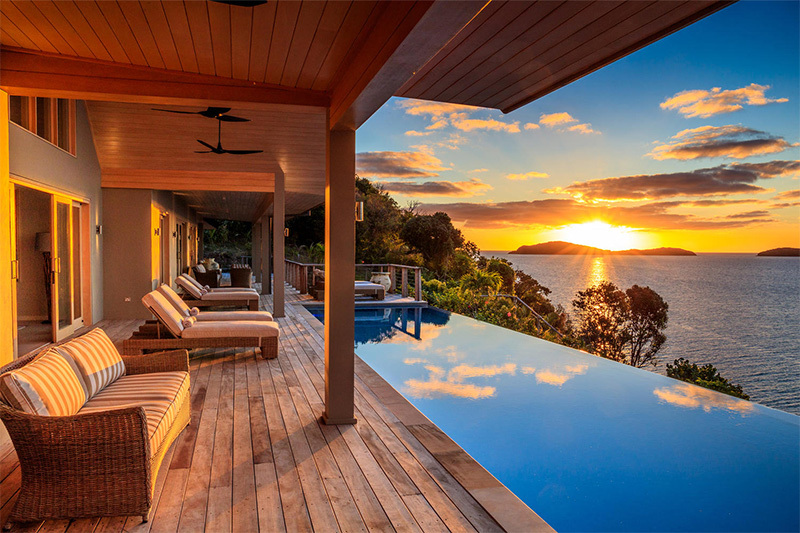 This 500-acre private island is home to 14 villas for couples only, ideal for a honeymoon or anniversary celebration. From the moment you step off the seaplane at the resort, you’re made to feel like family. A warm serenade and your personal Bure Mama await. Nothing is too much trouble. From arranging a private beach picnic to daily laundry service, your Bure Mama will make sure you never have to lift a finger. Here, “all inclusive” means you’re part of the Fijian family on the island. Breakfasts and dinners are shared together with all guests, including a splendid mountain top dinner on Saturday nights. But if it’s privacy you’re after, opt for an intimate dinner on a floating pontoon the lagoon, on the serene spa deck, or just outside your villa. As a solar-powered resort, Turtle Island is all about preserving its natural beauty. Amble through its lush five-acre garden, hike canopied jungle trails or explore the island by mountain bike. Walk on the white sands of the island’s ten private beaches, ringed by turquoise waters dappled with vibrant reefs at your feet. You’ll find that most other guests at Turtle Island are repeat visitors. That’s just a testament to its promise of feeling like a home away from home. It can’t be denied that Fiji’s newest and most exclusive resort is a cut above the rest. Nestled on the edge of the celestial Kadavu Island Group, Kokomo Private Island Fiji encapsulates the essence of barefoot luxury. At Kokomo, six stars means personal Kokomo butler service, an introductory spa treatment, one tank scuba dive and all meals included. Its 21 open-plan beachfront villas dot the island, guaranteeing your own slice of private paradise. Complete with an infinity pool and countless lounge chairs to sink into a sun-induced coma, your villa will feel like your own private spa sanctuary. The tiniest details, from fresh cookies in your cookie jar every morning to the leaf imprints decorating the paved footpaths reveal the deep passion behind every touch of this resort. You won’t want to miss out on the snorkeling. Located right off of the Great Astrolabe Reef, the colors here are truly otherworldly. Let’s face it – no resort can truly call itself “all inclusive” if it doesn’t include drinks. And Namale Resort & Spa has it all. Premium wine, liquor, beer, spirits, any sort of cocktail you can imagine – Namale’s got it. All included in your rate. But apart from its extensive drink menu, the world-class dining on offer – featuring fresh ingredients sourced from Namale’s own organic farm – is elevated to unparalleled heights with its intimate and flexible dining experiences. Besides its two main on-site restaurants, you can also dine in private, romantic settings tailored just for you. 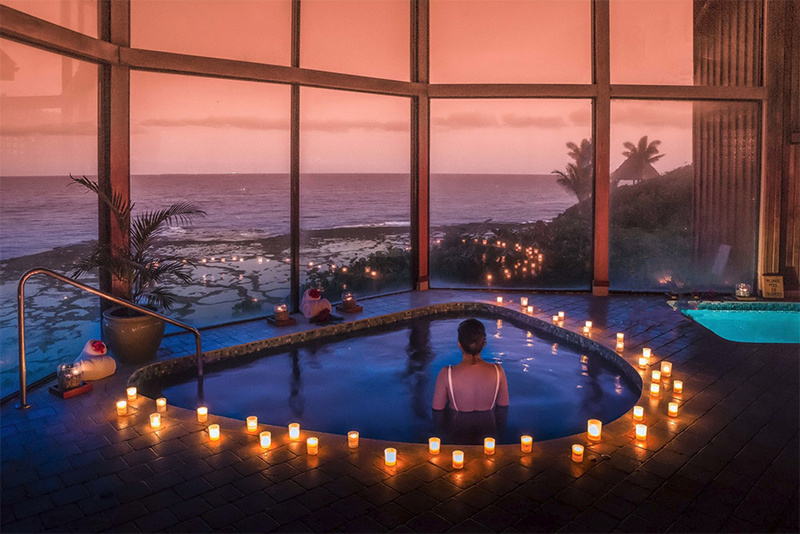 Dine by a secluded rainforest waterfall, right on the beach with your toes in the sand, on a private deck featuring a romantic heart-shaped hot tub and amazing ocean views or in an intimate cove illuminated by the glow of a dozen candles. Want to stay in your bure and have tropical cocktails personally delivered to you? Craving lobster three days in a row or a simple grilled cheese? Namale’s also got you covered. With 19 private bures and villas spread over 525 acres of lush tropical rainforest, you’ll enjoy utmost privacy at this adults-only resort. Featuring five-star amenities along with private decks and private pools in the villas, Namale is all about unapologetic luxury in Fiji. 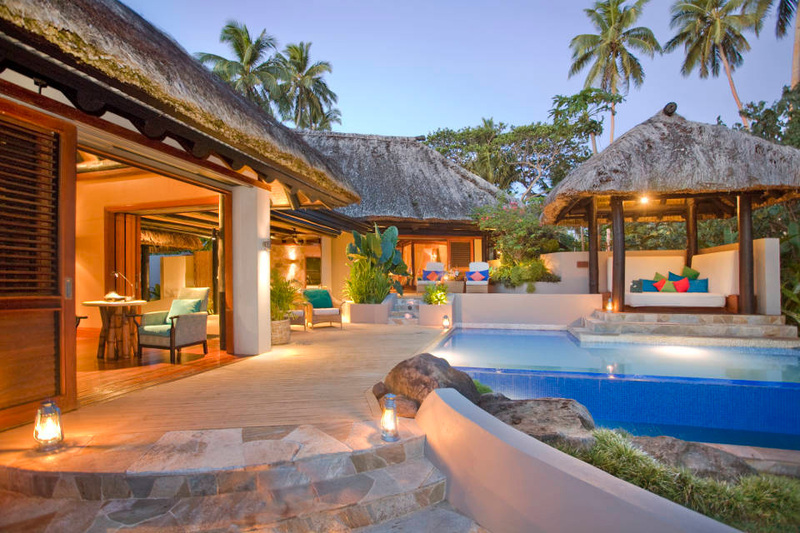 Combined with touches of traditional Fijian architecture, you’ll feel like island royalty. Looking for an All Inclusive Fiji Experience? 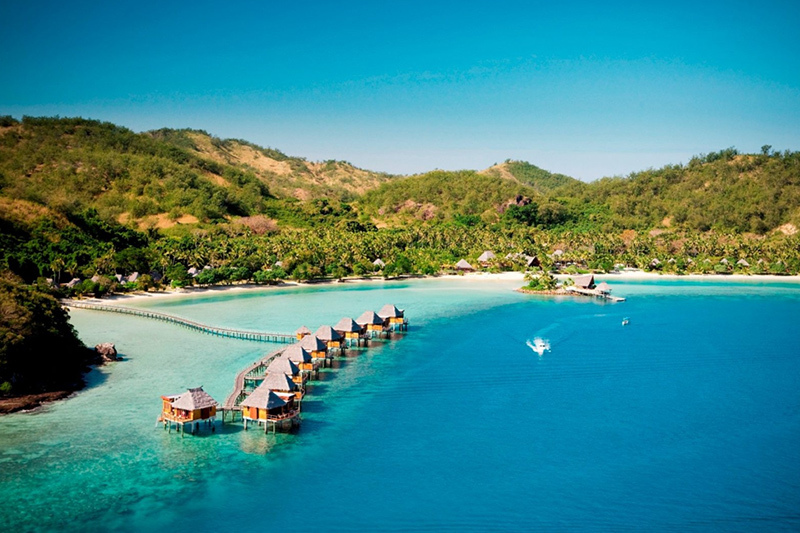 Whether you’re looking for a private island escape or an indulgent getaway for the family, Fiji’s best all inclusive resorts promise unforgettable experiences that are out of this world. 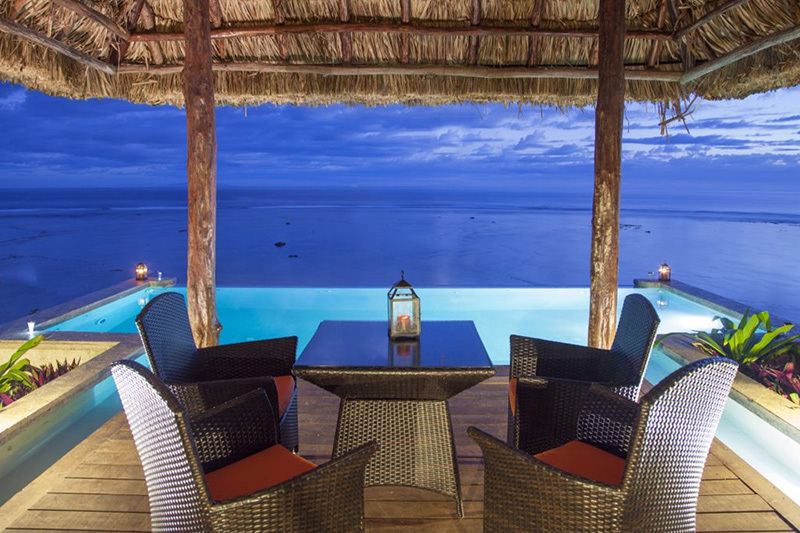 As experts in Fiji travel, we’ll point you to the best all inclusive resorts tailored specifically for your ideal vacation.